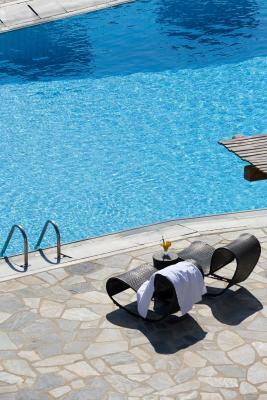 Lock in a great price for Yiannaki Hotel – rated 8.9 by recent guests! 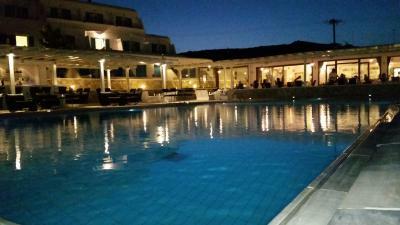 The staff is amazing and helpful, the pool area is big and clean, the rooms are big and clean, the location is a 5 min walk to Ornos beach and from there you will have a bus to Mykonos town. Am AMAZING hotel ! Had an excellent stay at the Yiannaki hotel! The room was clean and comfortable; the staff was friendly and helpful; the included breakfast had something for everyone; the pool area was relaxing; and most of all, I loved being able to walk to Ornos beach. 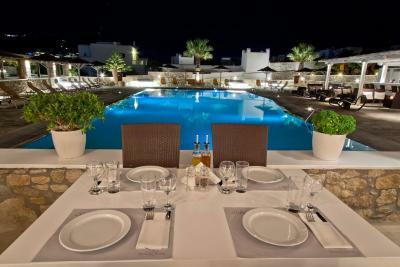 This is the place to be if you want to be close to Mykonos Town, but want a quieter/more relaxing environment. The bus stop to go downtown is a 5 minute walk from the hotel (there aren't any sidewalks, so be careful). Honestly I wish I could give this place higher than a 10 rating. The facilities were amazing the staff was extremely helpful and the food was not only affordable but of phenomenal quality. My girlfriend and I stayed here for the first two days we were in Mykonos and then stayed at different hotels for the remainder Of the trip and nothing compared to how great Yiannaki was. 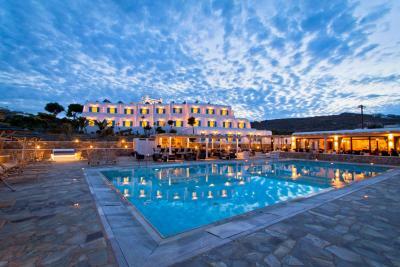 We both have decided to return to Mykonos every year and to stay exclusively at this hotel every time we return! The pool was absolutely amazing and a lot of fun. The hotel was a 5 minute walk from the beach and the bus into town making the location extremely convenient! 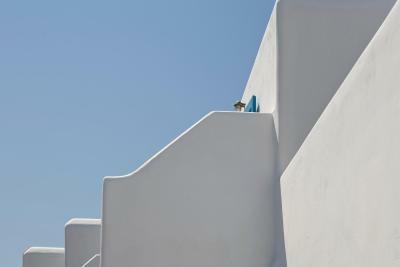 I would recommend this hotel to absolutely anyone who is going to the Island of Mykonos and we will be counting the days until our next visit!! 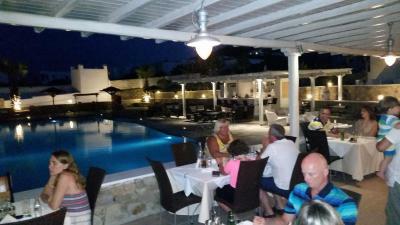 Very friendly staff, nice location, close to the orno beach. Beautiful architecture. All staff friendly and helpful. They did many things to help with my limited mobility. Great breakfast options with lovely seating around pool. Had room service for delicious dinners and ate on my balcony and enjoyed the view. Good wi-gfi connection. Easy, secure private parking. 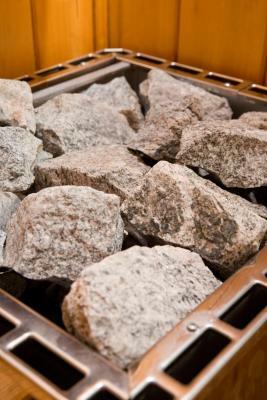 The staff here were very helpful and friendly. The breakfast is good and the facilities are very nice. Unfortunately the weather didn't permit a swim in their pool. I felt it was a little bit out from the town and although the local bus services are good I would rather stay closer to the town if I was going again. Ornos beach is lovely and was relatively quiet but that was probably due to the unpredictable weather. The room itself is quite large and had what we needed. The room was very confortable, the staff very helpfull and the restaurant was amazing!! Yiannaki Hotel This rating is a reflection of how the property compares to the industry standard when it comes to price, facilities and services available. It's based on a self-evaluation by the property. Use this rating to help choose your stay! 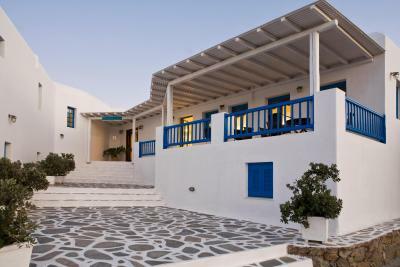 One of our top picks in Ornos.Yiannaki Hotel is located in Ornos bay, walking distance from the beach and the bus stop. It offers rooms with free Wi-Fi. Parking is complimentary. The hotel features a beautiful pool area with a sea-water pool, pool bar and a relaxing terrace with sun beds and umbrellas. Pool towels are complimentary. 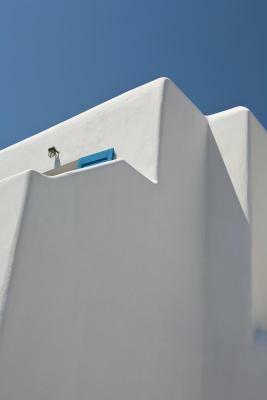 All Yiannaki Hotel guest rooms have balconies, air conditioning, and in-room safes. 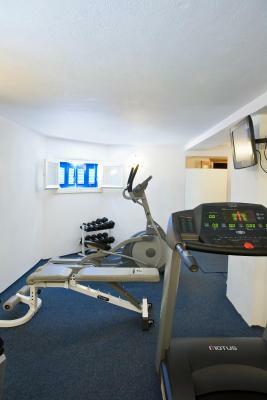 Rooms also include marble bathroom with a hairdryer, a fridge and TV with satellite channels. Towels are changed daily. A rich buffet breakfast is served each morning. Local delicacies and International dishes are prepared with care by the family-run restaurant Aleka’s. 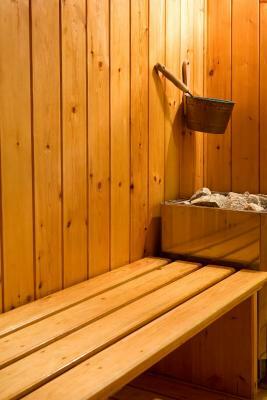 Other facilities include sauna and a small fitness center. Massage sessions and beauty therapies are arranged upon request. A paid airport or port transfer can also be arranged by the property upon request. 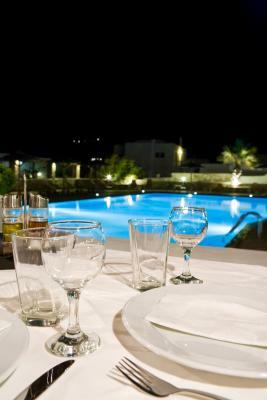 When would you like to stay at Yiannaki Hotel? 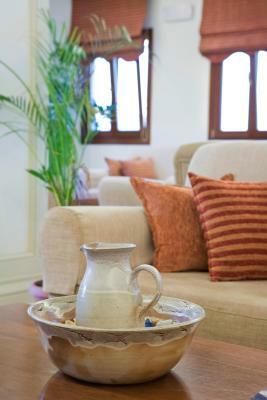 The air-conditioned rooms are elegantly decorated with wood furnishings, draped curtains and earthy colors. Featuring a TV, fridge and minibar, they all open up to a balcony. Each includes a private bathroom stocked with toiletries and a hairdryer. 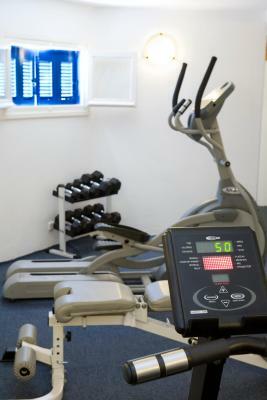 An extra bed or crib can be accommodated upon request and subject to availability. Opening to a balcony, this air-conditioned room comes with a mini-bar and a TV. A safety deposit box and free WiFi are provided. House Rules Yiannaki Hotel takes special requests – add in the next step! 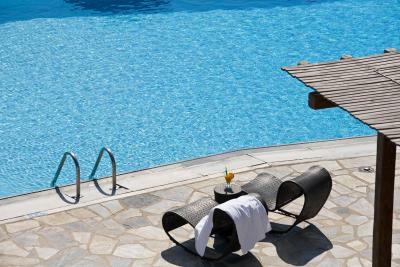 Yiannaki Hotel accepts these cards and reserves the right to temporarily hold an amount prior to arrival. As our room was near the reception we could hear people coming into the hotel and upstairs and next door. The shower was awkward with the tap on the side of the wall which made it awkward to shower without hiting off it. The shower also had a very short hose which meamt you had to stsnd in the middle of the bath as the hose ran diagnolly to the tap. As it was windy and rainy outside going out to breakfast outside was annoying. Also the patio door rattled in the wind. The bathroom door also jammed a few times. We requested for higher floor and we were assigned to the lowest floor and in the old building . Breakfast could be improved. The tranquility of the pool as somewhat been lost since the introduction of quite loud background music. It was intrusive and limited in genre. . Excellent customer service in arranging transfers and especially helpful staff. Lovely salt water pool Location We had lunch at the hotel the food was excellent and on a par if not better than the restaurants on ornos beach Try the Cretian near ornos beach. I loved everything about the hotel, the staff were so lovely, there were two out of three ladies at the reception that were absolutely amazing. the driver, the restaurant, the pool. Everything is a walking distance, the bakery, the bus stop, ornos beach and 180 degrees bar is very close. Was really beautiful and satisfying. It's great that they offer a shuttle service, but it would be even better if it was included/ was less money (16 euros each way). They had another guest join our ride to the airport, but we still paid the same fee. they should provide free shuttle for the beach because roads are very narrow and accessibility is a bit risky especially at night. 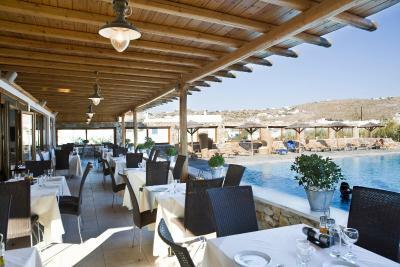 Staff were very friendly, breakfast was great, pool was amazing, good location if you don't want to be in the main town!